Main > Blog > Can I Improve My Vision? How Is It Possible and Where Can I Go in Toronto? Improving of your eyesight can be not only through surgical intervention, correction contacts, or Lasik surgery, but by using natural methods. Systematic implementation of special exercises for the eyes requires the patience and effort over time, but it can bear fruitful results, and your vision can improve. Thousands of years ago people had the idea to restore the deteriorating eyesight through appropriate exercises for the eyes. Indian yogis, focused on harmonizing function of all body systems, including vision, proposing a combination of regular training of the eye muscles, along with good rest. 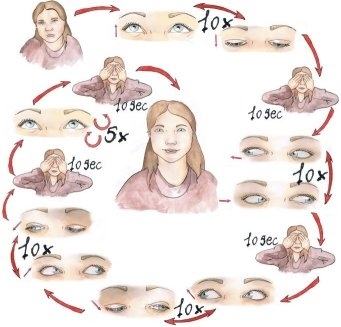 At the beginning of the last century, William Bates created a special system of exercises for the eyes, based on the eye’s need for systematic training and rest. Now, visual therapy is a common practice which can be recommended for many patients. In the same way we need to stretch our back, arms and legs after sitting for a while, we should exercise our eyes after fatiguing them by reading or watching television. For example, you can take time to focus on things at different distances, roll your eyes slowly, etc. There are some good places in Toronto where you can meet professionals who will check if you are good candidate for visual therapy and discuss which exercises will be better for you. Here, you are welcome to meet Dr. Sam Baraam who is certified for visual-perceptual therapy by the Eye Institute in Philadelphia. They are located at 40 University Ave, Suite 105, in Toronto and are open on Saturdays as well. They are located beside Fairview Mall at 5 Fairview Mall Drive, Suite 410. They have professionals speaking different languages: from French to Cantonese. To learn more about their vision therapy options, call them at 416 498 3438. Natural methods for improving your eye sight will require some diligence and patience on your part. 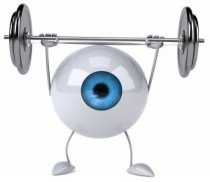 Results won’t be immediate, but over time, your eye health will be strengthened and your eye sight improved. Don't forget to eat healthy. Vitamin-rich foods, particularly bright colored vegetables, are very good for supporting and improving your vision. Other nutritious choices that are great for your eyes include onions, garlic, fish, berries, egg yolks, dark chocolate, etc. Get smart about nutritious eating for your eye health. Finally, make sure to give your eyes sufficient rest. Your eyes need to recover in sleep as much as the rest of your body does. Aim for eight hours of sleep every night. Laser eye surgery can result in the correction of common vision problems including far-sightedness, near-sightedness and astigmatism. Undergoing it may mean you never have to wear glasses or contact lenses again! However, all surgeries including laser eye surgery has inherent risks and you need to make an informed decision about whether the risks are worth the potential benefits. Some potential negative consequences include the following: post-operation pain (moderate to severe), blurred vision, seeing of halos and glares, and dry eyes. More serious conditions induced by the eye surgery may require corneal transplants or implants. The surgery can also result in eye infections that cause major loss of vision that is permanent. Some professions may require a certain standard of vision that makes laser eye surgery a good option. 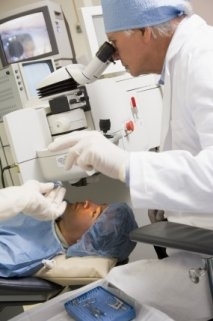 Athletes, firefighters, police officers, military personnel, etc., usually will opt for the laser eye surgery PRK (photo-refractive keractectomy) which scrapes away part of the eye tissue rather than cutting into it (as with LASIK) as otherwise, future trauma to the eye can reopen the old wound. 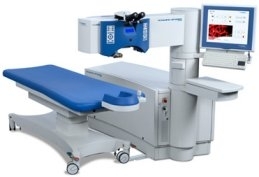 PRK as a laser eye surgery, of course still bears the risks as described above. If you’re interested in getting laser eye surgery, it’s very important to do what you can to minimize your risks, including getting a referral from your own eye doctor, having a thorough discussion with your laser eye surgeon about your suitability and expectations as well as the risks and benefits of having the laser eye surgery. You should always follow all advice given on pre- and post-eye care and carefully read your “informed consent” form. Lasik MD has two locations in Toronto, one in North York and downtown at 100 King Street West. Lasik MD boasts a lowest price guarantee and price match plus a $50 additional discount per eye. Prices start at $490 per eye and financing plans with affordable monthly payments is available. Federal government employees can save up to $1200 using their Public Service Health Care Plan and corporate discount plan at Lasik MD for public service employees. Many insurance companies also help cover costs for laser eye surgery, and your pre-tax dollars in Health/Flexible Spending Accounts may be used as well. You can also enjoy discounts if you work for or get insurance from any of Lasik MD’s corporate partners. Herzig Eye Institute is located downtown Toronto at 131 Bloor Street West, Suite 210. While they don’t offer a lowest price guarantee, they do have a financing option for up to a five-year term. What sets Herzig Eye Institute apart is their commit to patient satisfaction. They offer any necessary touch ups/retreatments free of charge for the first three years. They also claim to offer specialized care, a thorough consultation and follow ups, and a consultative attitude in the face of all questions big and small. Herzig Eye Institute also has a page where you can view the detailed biographies of their physicians. The Bochner Eye Institute has locations in Toronto, Scarborough and Unionville. In Toronto, the clinic is located at 40 Prince Arthur Avenue in Yorkville. The Bochner Eye Institute consider themselves a pioneer in the ophthalmology field as their medical directors were among the very first physicians in North America to perform laser eye surgery. They also consider themselves current leaders in the industry and claim that many opthalmologists and optometrists receive laser eye surgery at their clinic. The Bochner Eye Institute offers free post-operative care (included in the initial fee) for one full year and financing through Medicard. While laser eye surgery can quickly correct your vision, that route comes with potentially negative consequences. If you tend to be risk averse, consider the natural ways of improving your vision first including eating a healthy diet rich in minerals, vitamins and healthy fats, exercising your eyes, and getting a sufficient amount of sleep every night. The natural way will take a little longer than laser eye surgery, but there are no risks involved and over the long-term you can see the improvement.